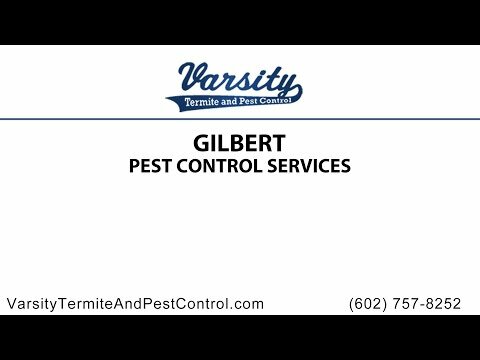 Pest control in Gilbert is highly important if you suspect you have an infestation of vermin or insects. This is so important for many reasons – as leaving an infestation can cause damage to your property (particularly if your property relies on wooden sections and it’s termite control you need), can damage your health, can cause businesses to get shut down and more. The sooner you do this, the easier it will be for the pest control or termite control company to deal with your problem. However in order to get pest control in time, it is important to be able spot the signs of and infestation and to know when you have a problem. Here we will look at how to recognize when there is a call for pest control or termite extermination. Commonly pest control will deal with vermin such as rats, mice, squirrels or bats and these leave many clues to their existence in your home or business. One early sign that you might have a problem is noises coming from either the ceilings or the walls. These are two of the places that these vermin like to live as the insulation keeps them warm and they are hidden from sight. Contact Varsity Termite and Pest Control for more information or if you have anymore questions and concerns regarding if you need pest control. A professional exterminator will be glad to help you the best they can with any of your needs. You can also visit our website and blogs to gain more knowledge and information. Please give us a call today, we are looking forward to helping you.